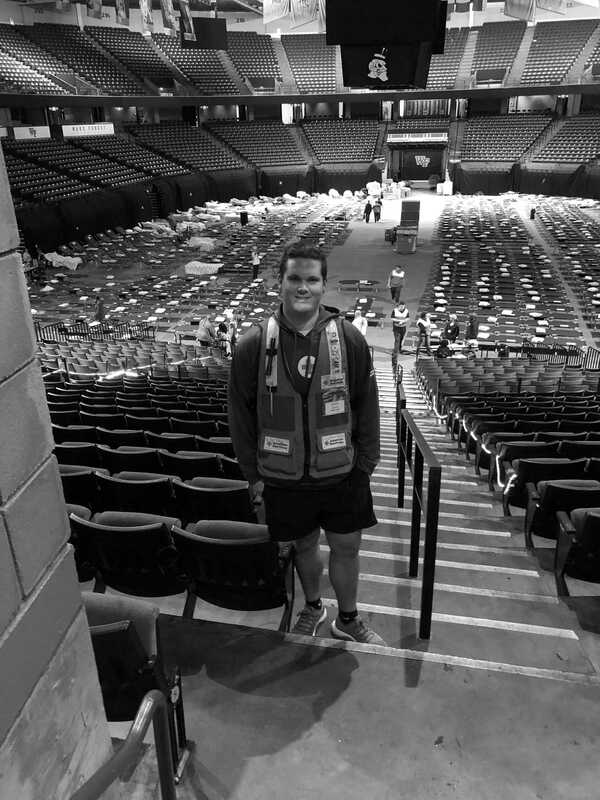 While many Wake Forest students prepared for an early start to the weekend during then-Hurricane Florence, junior Andrew Cave kept busy helping individuals affected by the storm. Since last year, Cave has volunteered with the Red Cross, working as a logistics specialist and a member of the Disaster Actions team. During the storm, Cave was deployed to the LJVM Coliseum, where he worked as a shelter supervisor and helped with mass feeding and mass care. For Florence, the Red Cross provided over 109,000 overnight stays, served over 650,000 meals, circulated over 100 Red Cross food trucks across the Carolinas and had over 30,000 Red Cross volunteers on the ground working round the clock. At Wake Forest, Cave is pursuing a Health and Exercise Science major with a minor in Health and Human Services. After graduating, he hopes to have a full-time job with the Red Cross, working in various parts of the country where he would be responsible for coordinating disaster relief. I started giving blood when I was 16. After hosting a few blood drives and starting to engage with the community a bit, I met some people who worked for the Red Cross and Disaster services. They told me about what they do and how I could be an asset to the team. I started getting really involved last year and Florence was my first national disaster. What kind of work do you usually do? I often volunteer with the Red Cross when I have some free time. 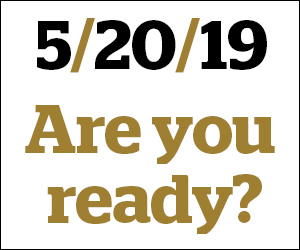 We do a lot of smaller disasters throughout the surrounding counties — house fires, flooding, trees on houses — things that would cause you to be displaced from your home. That’s when I move to the local stuff. I am a logistics specialist and am part of the disaster actions team. My main goal is to give immediate assistance to clients who are displaced from their homes. We give them one to two nights in a hotel to get them back on their feet until they can either get insurance or can be connected to another agency that will help them throughout the rest of the process. What did you do during Florence? With national disasters like Florence, my job is mass feeding and mass care. This involves feeding large numbers of people at one time and taking care of them in a shelter. I was actually a shelter supervisor during my deployment; we work 12-hour shifts. There were points when we had over 400 residents. We were feeding people three hot meals a day and giving them a place to sleep as well as power, hot showers and all the necessities. My overall job was to make sure that our clients were taken care of and had everything that they needed. Who or what inspired you to pursue this kind of work? Before I ever thought about working with the Red Cross, my dad’s home caught on fire. Now, whenever I am called out to go to these fires, I remember that moment when the Red Cross came out to help us and think about how we felt when this was going on. When I give clients immediate assistance, I am also there for them to know that they have someone that understands what they’re going through and someone they can talk to. In addition, my parents always pushed me to help others, give back to the community, and be a role model to others. When I first started giving blood it was just a little something that made me feel like I was actually helping. Then I wanted to do more, so I started hosting blood drives; then I wanted to do even more, so I started working with disaster relief. It’s been a blessing to get to help these people and know that you’re making a difference. You can donate things, but donating time versus materials feels more special to me. Throughout my work, I’ve learned that disaster relief is my passion. Has this experience helped you reflect on our motto and what our school stands for? “Pro Humanitate” goes basically hand-in-hand with the volunteers that I work with on a daily basis. We’re all there to help others, give back and do what we can to relieve that suffering that they’re feeling. The amazing people that I work with are the type of people that would drop two or three weeks out of their lives just to go help somebody else. At school, I’m very thankful to be in this community where we always try to help others. Volunteering made me feel very fortunate and appreciative of what I have and the opportunities that we’re given here. I want to give when I can, because you never know when you might be the person that needs help. What advice would you give to a student who is still searching for their own passion? I would say the biggest advice is to keep your options open. I think most of us come into school with an idea of what we want to do and what we think we’re going to do. But you never know what will fall into your lap. I’ve bounced around a lot of ideas and experimented with a lot of the things. I like doing nutrition and thought about getting a degree in that when I graduate, or becoming a doctor, but this is something that I feel like I’m really passionate about, and I hope to continue this work when I graduate.